(Left to Right) Bhai Kultar Singh doing Kirtan seva with his father Bhai Avtar Singh, and Bhai Sahib's brother Bhai Swaran. New Delhi (KP) - Bhai Avtar Singh ex-hazoori ragi of Gurdwara SisGanj Sahib passed away peacefully last week, due to complications from leukemia. Bhai Sahib was an invaluable asset to the Panth in his contribution to keeping the tradition of Gurmat Sangeet, especially tanti-saaj (stringed instruments) alive. In his service to the Panth in elightening the worldwide sangat on the teaching of the Gurus through kirtan, Bhai Sahib kept the tradition alive with the help of his brothers Gurcharan Singh, Swaran Singh, and son Kultar Singh who had given up his professional career in order to aide in the preservation of Gurmat Sangeet. His family represents an unbroken tradition which goes back to the times of the Guru Sahibaan. 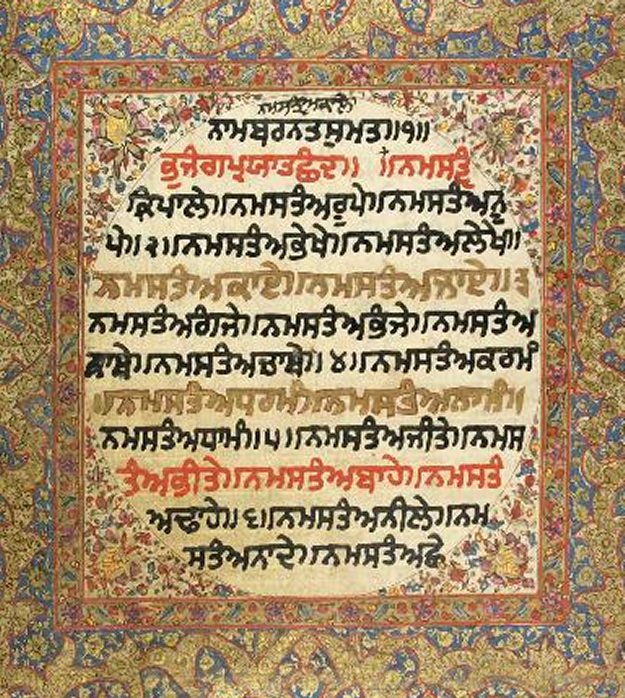 The family's greatest achievement is the composition of Gurbani Sangeet Prachin Reet Ratnavali which documents hundreds of traditional Gurmat Sangeet compositions that have been handed down orally from generation to generation. In the last several decades, Bhai Sahib has traveled through Europe and the Americas where he dedicated his time by spreading the message of Guru Nanak Sahib Ji’s Sikhi through nirbaan-Kirtan. Even during his stay in the foreign countries, his daily routine consisted early morning Asa-di-Vaar and evening Sodar-di-chaunki, regardless of how few congregations members were present. He stated that he did Kirtan sewa for His Guru, who was always present. Bhai Sahib Avtar Singh Ji's father, Bhai Sahib Jwala Singh Ji was an accomplished Ragi in the Sikh Panth, who imparted his knowledge of Gurmat Sangeet to Bhai Sahib Avtar Singh Ji and his brothers. Bhai Jawala Singh Ragi’s family lineage travels right back to the time of Guru Arjan Dev Ji. His family then under the instruction of Guru Hargobind Sahib ji learnt and performed kirtan according to the rules of Gurmat Sangeet. His father Bhai Jawala Singh was born in 1879 at the village of Saidpur in the Kapurthala district of Punjab. Bhai Jawala Singh Ragi’s family lineage travels right back to the time of Guru Arjan Dev Ji. His family then under the instruction of Guru Hargobind Sahib ji learnt and performed kirtan according to the rules of Gurmat Sangeet. Bhai Jawala Singh’s father Deva Singh and his grand father were also noted ragis of their era. They both were known to have been competent at the now almost extinct Saranda. Bhai Jawala Singh was particularly fond of the Taoos although in his later years resulted in playing the Harmonium. He was known to have many puratan reets in his repertoire that he would not need to repeat a tune even though he had been playing in places for weeks on end. Bhai Jawala Singh learnt Gurbani Santhiya from the Granthi in Saidpur, Baba Pala Singh. From there he was sent to the Nirmala Dera in the village of Sekhwari in Firozpur where he was taken under the wing of Baba Sarda Singh who taught him music. He also further studied the Guru Granth Sahib throughout his time at the Dera. From here Baba Sarda Singh sent Bhai Jawala Singh to Amritsar to learn from the well respected Baba Vasava Singh (commonly known as Baba Rangi Ram). Following his tuition, Bhai Jawala Singh returned to Saidpur and gradually became famous for his musical talent. He was very much in demand to sing in large gatherings all over the Punjab. Bhai Jawala Singh presided over the first All India Ragis conference in 1942. He passed away on 29 May 1952 at his village in Saidpur. In the ever growing trend of having kirtan being blended with tunes from Bollywood, Bhai Sahib and his family have been intstrumental in the preservation of the pristine form of Gurmat Sangeet. For this the Sikh Panth is ever greatful to the hard work and preserverence that such souls underwent in order to spread the love and teachings that Guru Sahib had brought into this world. Being eldest son of late Bhai Shaib Bhai Jawala Singh ji Ragi, I would like to inform you that my father was born in 1879 and not in 1892. You are requested to kindly rectify the year. Furthermore, by 1892 he was learning from Baba Sarda Singh ji. Bhai Avtar Singh ji Ragi was my younger brother.